Someone pinch us — it’s already mid-August? Although the days are longer and the nights are shorter, summertime always seems too short… and that’s because time always flies when you’re having fun. Seems like yesterday when My/Mo Mochi Ice Cream kickstarted the summer at the Summer Fancy Food Show in NYC — the largest specialty food industry event in North America. 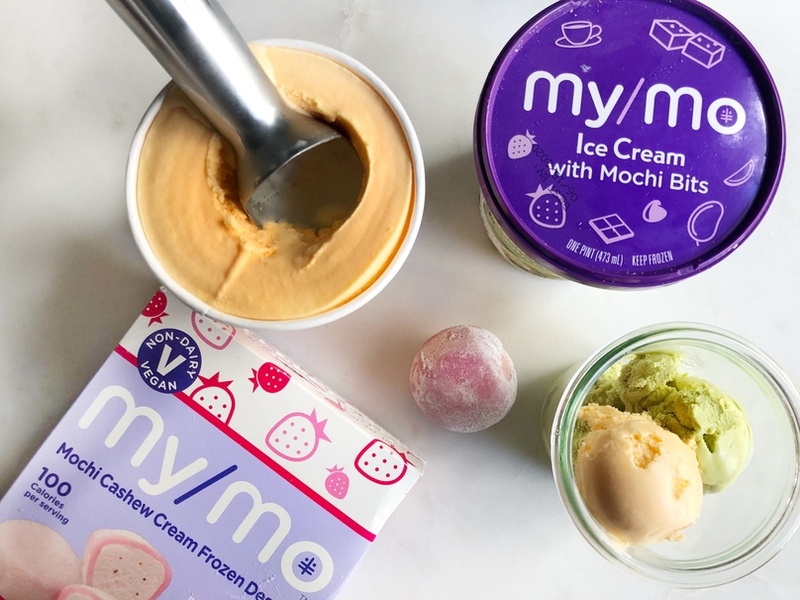 Thousands of snackers stopped by the My/Mo booth, where marvelously mesmerizing flavors of My/Mo Mochi Ice Cream were showcased, including our non-dairy/vegan flavors and pints of ice cream with mochi bits! There was something for everyone’s snackisfaction. Our friends at Spoon University attended the show and sampled the endless amounts of food to their hearts’ desire. Yours Truly was mentioned in “Our Top 8 Picks at the Summer Fancy Food Show,” where Spoon University recommends My/Mo for those who are “mochi-ice-cream-obsessed.” My/Mo Ice Cream Pints with Mochi Bits are described as “perfect for entertaining and sharing, or for indulging yourself.” Spoon also recommends My/Mo’s non-dairy, plant-based frozen dessert for those who are vegan or with lactose intolerances. Pretty sweeeeet!